The Llibreria Geli is located in the old quarter of Girona and is one of the oldest bookshops in Catalonia. The bookshop itself resembles a narrow passage that goes from Argenteria street to Cort Reial. It has a collection of over 200,000 books, which is constantly updated, including specialised sections on Law, Psychology, Art, Computing and Philosophy. According to Girona legend, if you can’t find a book in Llibreria Geli, you can’t find it anywhere. The bookshop was founded by Francesc Geli Geli in 1879. In its beginnings, it adopted an outlook that was both religious and progressive, but had serious problems with local revolutionaries who saw it as being more religious than modern and eclectic. Although Can Geli survived the war, it had difficulties recovering from the devastating River Onyar flood in 1940. In 1945, Pere Rodeja Ponsatí, aged just thirteen, learned how to run a bookshop and took charge. The Llibreria Geli was ultimately to become his in 1988. He turned the chaotic warehouse into a different bookshop selling books of all kinds, and at the same time managed to attract young people looking for official literature, and even forbidden authors, while Catholics started to stay away. 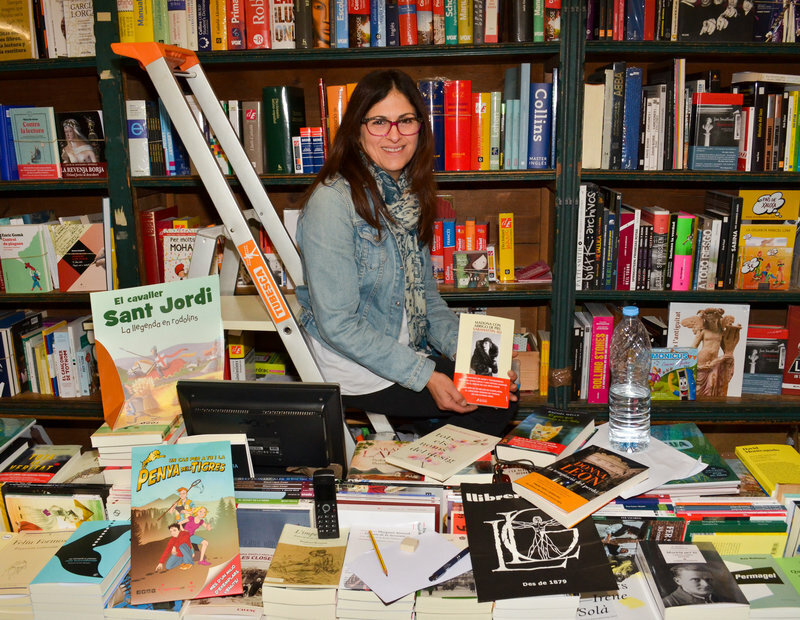 Nowadays, the bookshop is very popular with visitors not just in Girona, but from other places around Catalonia. 1. Books. We can’t work without them. Books are the most important thing in our work and thanks to them we can establish relations with our clients and also make friends. 2. Computer. Our main source of information about books, authors, and everything related to books. We also keep our stock list on here. 3. Ladder. We use it to reach the books that are on the highest shelves, because we aren’t that tall! 4. Phone. To talk to clients who make orders or just want to ask about something, and also for us to make orders or chat with clients. 5. Pencil, rubber and paper. Necessary tools to write down the orders from our clients or anything we need to remember. 6. Water. It’s always good to have some water ready. 7. Paper bags. Sometimes our clients want a bag to put their books in for more convenience. 8. Poster. To advertise some of the books we are selling and make them attractive and interesting.